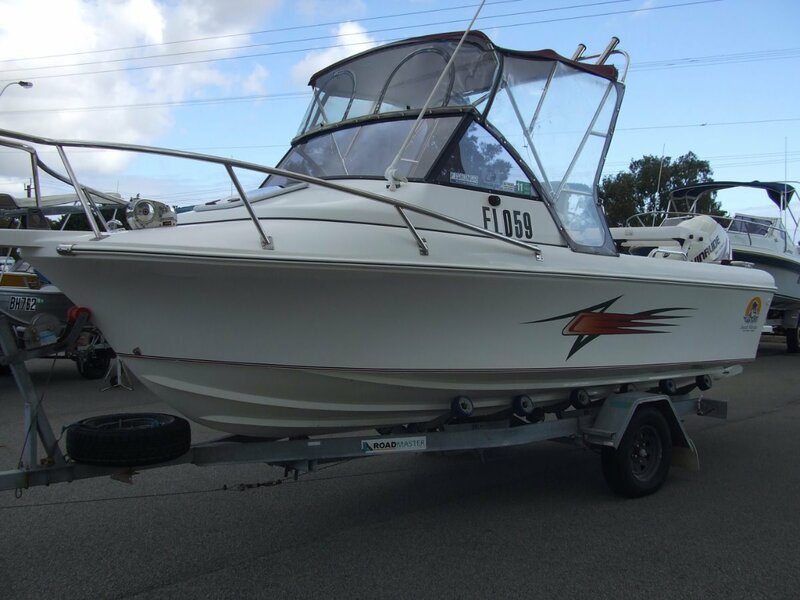 Sunset Marine based this 550 Cuddy cabin on the very popular Pacemaker 550 hull with a few refinements. 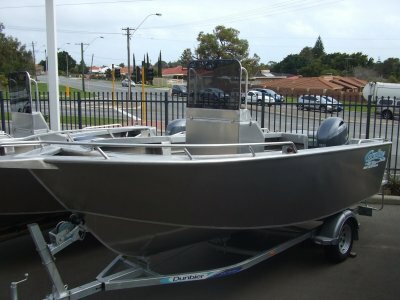 So if you know WA boats you will know its a great boat in the water. 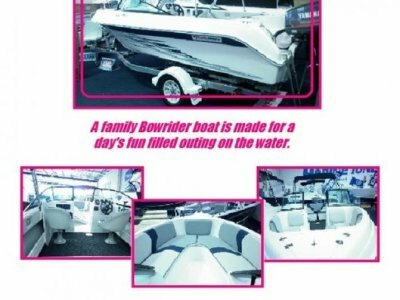 Powered up with a mighty Evinrude 115hp HO outboard it includes abundant storage with around 10 Hatches, Bow fuel tank, Deluxe seat pods, Electric anchor winch, Bimini, Clears and S/Steel Targa. 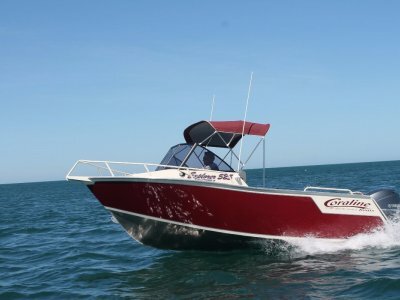 There is also Gps and Sounder, Stereo and Marine radio, Bait station, Hydraulic steering and more. Its all on a Road Master roller trailer and is Outstanding value at a reduced price of $33550.00.